Scrap Happens Here with Darla: Life's Short...Live it with ZEST!! Good morning friends! 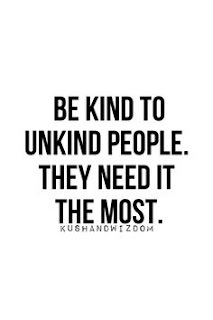 It's a BEAUTIFUL Thursday, I sure hope it is for you as well! I came home after a FANTASTIC class to lots of trees down at my house. It was so hard to take them out...but it is our only level area...I'll plant more once the riding arena is in! I went to the gym this morning and the BOOTCAMP instructor had a card game for us to play! Oh man...it was the hardest workout! This is how it worked...Jokers we had to jump rope for two minutes; Spades we had to do burpees or push-up, row, row; Hearts we had to do Speed Skating; Clubs we had to do ball pike/inchworms; and Diamonds we had to do ball squats....2 through 10 times each (the number on the card) and Aces were 20 of each! I came home so EXHAUSTED that I had to go back to bed! Now I'm up and going again...hopefully I'll be able to move tomorrow! It's the stairs...and going to the bathroom that are the hardest when I'm sore from a workout! Did I mention that I had a FABULOUS class yesterday! Fourteen ladies attended and things went so smoothly...well except that I forgot the paper mats and the order forms! Thank goodness all the pieces for the cards were there! The guys came to do the tree work early and I had to leave before I got stuck...I thought I was so organized, but in the rush...I forgot a few things! Here is one of the cards we made! I just LOVE it! The Whole Lot of Lovely designer paper pack is absolutely GORGEOUS!! I have to order more!!!! 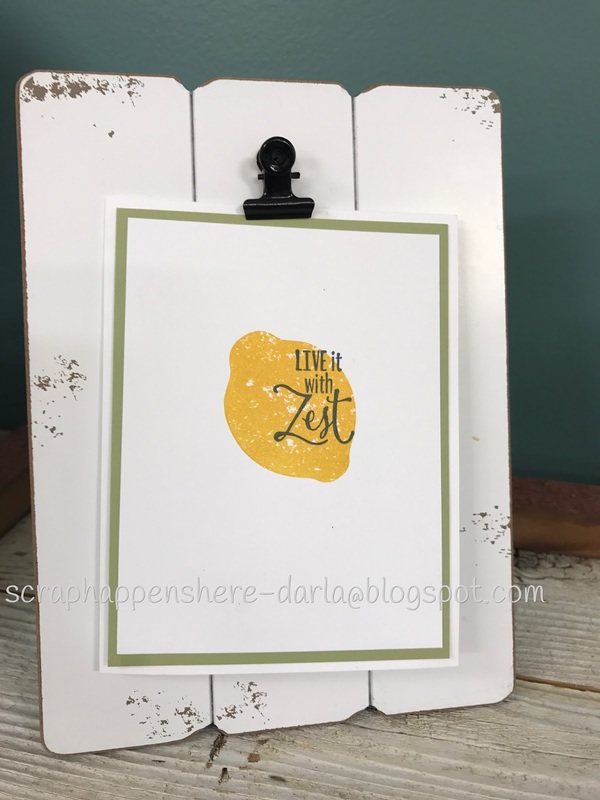 The card base is Whisper White with its first layer being Pear Pizzazz. I embossed the top part of the Pear Pizzazz cardstock with the Layered Leaves Dynamic embossing folder. I added a piece of the Whole Lot of Lovely designer paper to the bottom of the cardstock...that's why I only embossed the top! Next I wrapped a piece of Crushed Curry 3/8" Mini Chevron ribbon around the Pear Pizzazz piece of cardstock, hiding the line from the designer paper. 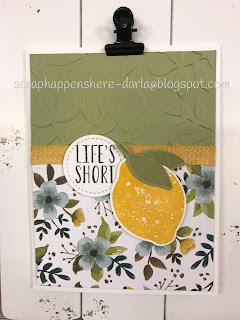 The Life's Short sentiment is from the Lemon Zest stamp set and is stamped in Memento Black ink onto a Stitched Circle. The lemon is from the same set and is stamped in Crushed Curry then punched out using the Lemon Builder punch. I punched the leaves out or Pear Pizzazz paper and then stamped them (in Pear Pizzazz in) by laying each leaf onto the stamps. I think the inside of the card is SUPER CUTE! I stamped another lemon in Crushed Curry ink and then the "Live it with Zest" sentiment over the lemon using Memento Black ink! Of course...a lemon on your envelope would be adorable too! Hey...thanks for stopping by today! I'll be sharing more class cards as well as a few more church birthday cards over the next few days, so be sure to stop back in! I LOVE sharing my creations with you all! Have a TERRIFIC rest of your Thursday!